Here at The Birthday Puppy, we help you build an exciting themed gift perfect for your pet! Each themed box is filled to the brim with goodies for your pet and for you. All boxes are customized for your best friend. We have so many themed boxes for you to chose from for your pet's birthday, holiday, or just because! All boxes are customized for your specific pet. You can shop all of our birthday boxes here. We have lots of new items to share with you! Here you can find our newest birthday box selections, in addition to special seasonal items. This week, we have lots of new toys, clothes, and boxes for all your adventures! We are ready for Cinco de Mayo at The Birthday Puppy! We already fully embrace Taco Tuesday, and are excited for an entire day to celebrate some of our favorite things. So let’s get dressed up and get ready to party! We are coming up on summer, which means some of our favorite Americana holidays to celebrate. Get ready for Memorial Day, Fourth of July, and Labor Day with all of our red, white, and blue accessories and toys! 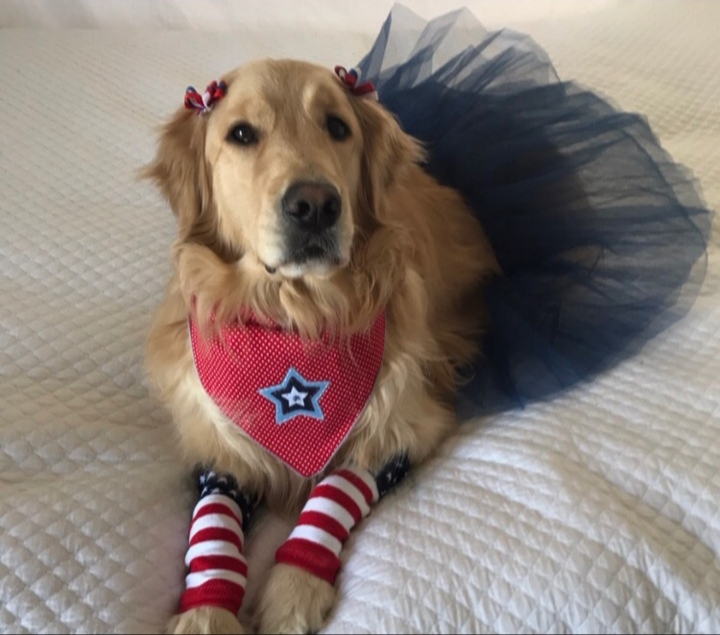 If you are an All-American pup, this shop is for you! Sign up for our mailing list with your email address to receive news, updates, and special promotions.